Our One Community, Inc., and Executive Director, Olmoti Trust. Diane Raleigh is a clinical psychologist who served in the Peace Corps in Somalia and Nigeria where she established the Owerri Motherless Baby Home in 1963. Dr. Raleigh oversees the development of Olmoti’s health and education programs sponsored by Our One Community. She is the key link to Olmoti’s Maasai community and the local government officials. Read about her journey in Harvard's Africa Policy Journal. Dr. Salash Toure, a gynecologist, is former medical director of the Arusha Region. Born in a Maasai village, he was selected in an academic competition and adopted by then-President Ahmed Sekou Toure of Guinea, were he received his medical degree. He practiced medicine for more than 30 years. 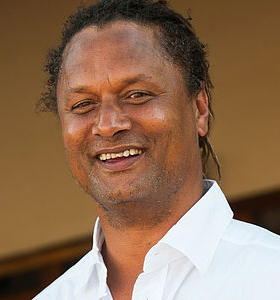 A native of Maasai country, Mr. Chambulo is one of Tanzania’s leading tourism businessmen and philanthropists. He owns Kibo Guides and Tanganyika Wilderness Camps and is chairman of the Tanzania Association of Tour Operators. He has provided critical financial, logistical and project support since the launch of the Olmoti Clinic. 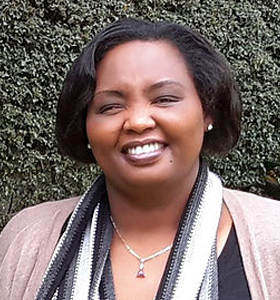 Ndinini Kimesera Sikar is co-founder of MWEDO, a non-governmental Maasai women’s empowerment organization based in Arusha, and serves as executive director of MWEDO’s prestigious secondary school. A Maasai, she earned higher education degrees in Tanzania and Canada and worked in banking and human resources. She is a member of the U.N. Forum on Indigenous Issues. California Superior Court Judge, Ret. Susan Finlay Marrinan was a judge in southern California for 37 years. A devoted proponent of women’s equality and civil rights, she founded the South Bay Drug Court, and is a former president of the Women Judges’ Foundation for Justice. Dr. Richard Nkambi, an internist, has practiced medicine for 37 years. 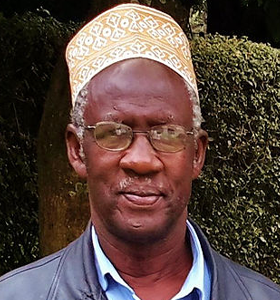 He was director of the Orkesmet Hospital for five years, and served with the Aviation Medical Corps, flying to remote Maasai areas and providing medical services for more than 30 years. A Maasai steeped in Maasai culture and language, Dr. Nkambi has transformed Olmoti Clinic. “Mama Yaya” was the key inspiration for the creation of Olmoti Clinic, which fulfilled her dream for a safe facility where women could give birth. A Maasai midwife, Yaya was trained at a local hospital and is certified as a medical assistant. As a respected community leader, she is a crucial liaison to the Maasai. Sylvester John manages Kambi Ya Tembo Lodge, located near the Olmoti community. He provides counsel, translation, liaison and project support for clinic activities. Rita Beamish is a longtime journalist who manages the Olmoti Clinic website and other editorial projects as a volunteer advisor. She is a former reporter for the Associated Press and a former adjunct professor at Columbia University Graduate School of Journalism.